Believe it or not, team building activities for work are critically important to the success of your business. In fact, the personal bonds formed between team members actually give your company a competitive edge. How does this work? It’s all about engagement. There’s a pretty clear link between the personal bonds between your team members and their engagement level. A recent Gallup study found that close work friendships boost employee satisfaction by 50%, while people with a self-described best friend at work are seven times more likely to be fully engaged at work. Don’t believe us? 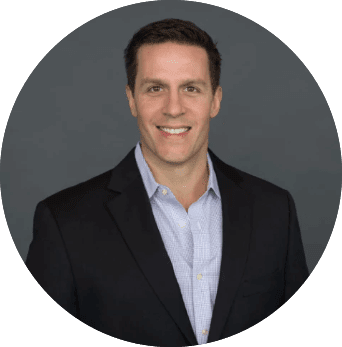 Comparably CEO and engagement expert Jason Nazar explains why that is and how he pulls it off in this clip from the Brand Builder podcast. And it stands to reason – the closer you are to your co-workers, the happier you’ll be at work, and the more likely you’ll be to sacrifice your discretionary time to help them succeed. Here’s the best part – team building doesn’t have to be boring and lame! We asked some of the most engaged, tightly knit companies out there to show us how to do team building right. We’ve broken them down into categories to help you decide which ideas might work for your company. Here’s what these awesome companies had to say. 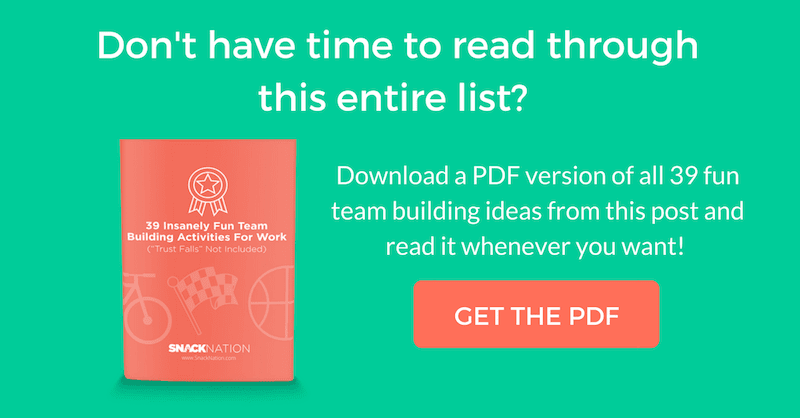 Free bonus: Download this entire list of company team building ideas as a PDF. 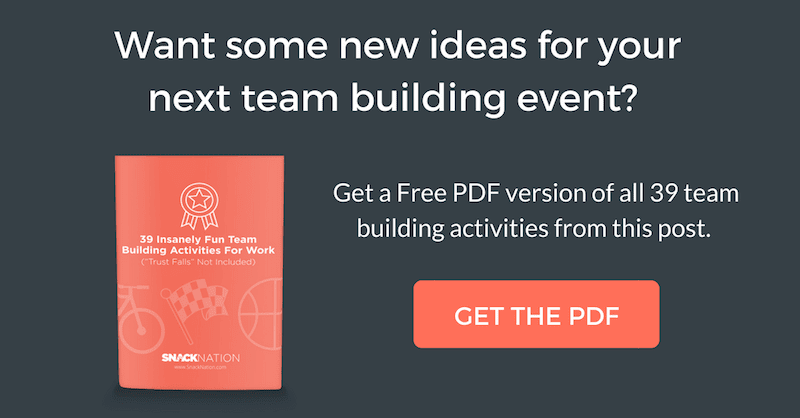 Easily save it on your computer for quick reference or print it for your company’s next meeting to plan a team building event. From the creators of popular true-crime inspired subscription box Hunt A Killer comes Team Building Kits, an all-in-one, immersive team building activity that boasts unique storylines (think solving a murder mystery, escaping ancient aliens on Mars, and cracking a code to rescue a hostage). Teams will flex their creative muscles, learn how their fellow teammates communicate and combine brain power to complete their Team Building Kit. “My time in the Navy taught me everything I needed to know about team building, so when I launched Hunt a Killer and learned that companies were using the mystery boxes for team building purposes, I knew that Team Building Kits, with boxes written specifically for team building activities, would advance company culture, encourage creativity, and create deep bonds between team members. Why we love it: The Team Building Kits help employees flex their creative muscle while at the same time build a deep bond between team members. 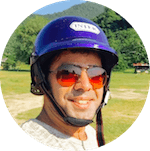 “I always want our team’s offsite activity to be fun, unique and challenging. Virtual reality was no exception! We split into teams and played a variety of different simulations led by Team Building VR. People faced their fears on virtual plank walks and showed off their creativity with 3D painting. Our personal favorite was the ‘Keep Talking and Nobody Explodes’ game. One team member wears the VR headset and is stuck in a virtual room with a ticking time bomb. Each team acts as the ‘Experts’ who have to quickly give instructions from the Bomb Defusal Manual. The catch is that the Experts can’t see the bomb! Working together and communicating effectively was a must. Why we love it: This elevated and immersive gaming experience creates a WOW moment that teammates will remember for years to come. Experiential rewards platform Blueboard isn’t afraid to eat its own dogfood. Although, given that their “dogfood” is actually life-altering team building adventures like urban scavenger hunts and guided mountain biking tours, it’s really no surprise. “Typically we’re testing out our own (and favorite) experience providers. Why we love it: Morgan points out a major theme in this section – friendly competition has a fantastic way of enabling team members to let their guards down and build relationships outside of work. Thailand-based task management software Taskworld kicks it old school with this throwback activity. “Video games are great but still nothing brings people together like a good old board game. Why we love it: This one rocks because it’s cheap, and combines face to face interaction with nostalgia for the classic board games from our childhood. Nothing embodies the spirit of competition like head-to-head competition. Why we love it: This one has it all – friendly competition, creativity, and best of all, it’s directly related to the work that Smith Brothers does. So much win. Typography is great and all, but here at SnackNation, we prefer to compete in the life or death stakes world of… adult kickball. 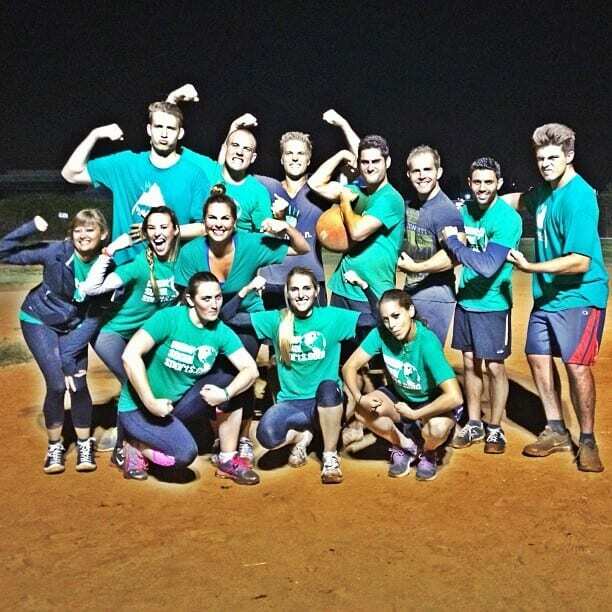 “I joined our kickball league because it’s a great way to get to know my coworkers better and a phenomenal way to meet new people who don’t work at SnackNation. Why we love it: Kickball is great because it’s all inclusive. Anyone can play (regardless of their level of athleticism), and it brings together people who don’t necessarily enjoy happy hours or other party-oriented activities. 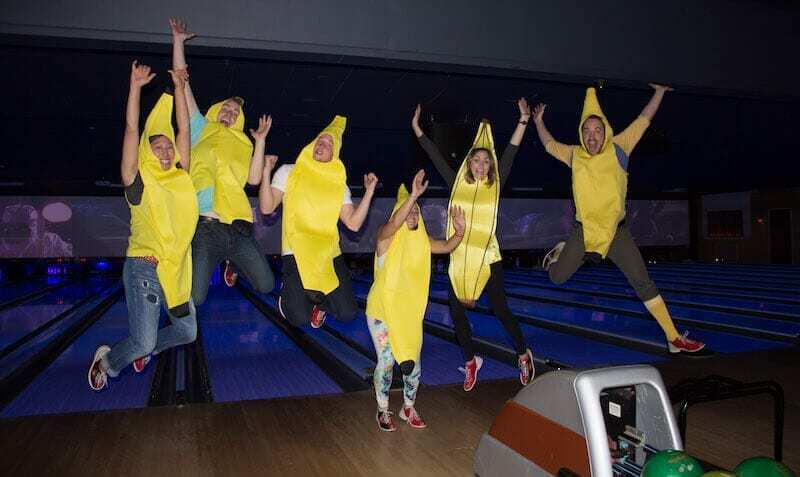 “It might not seem like the most traditional team building exercise, but here at YouEarnedIt we believe in celebrating our accomplishments in whatever way makes our employees the happiest. 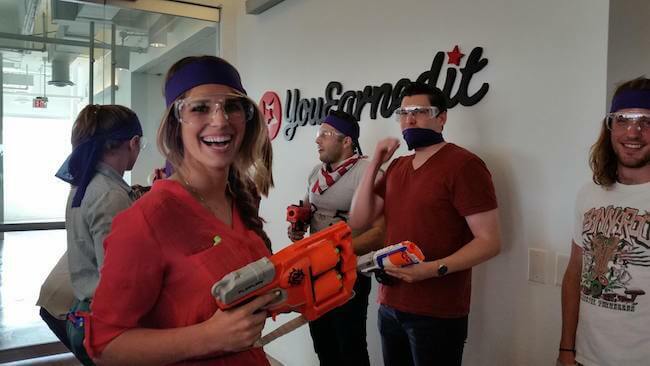 The same day we learned that YouEarnedIt won the title of Best Place to Work in Austin, we held our first ever Nerf Battle Royale. Our employees pooled together their YouEarnedIt points to fund and launch what turned out to be a powerful team-building exercise. Why we love it: Not only is it a great time, it’s also great exercise and you get to flex on competitive muscles too. Team building isn’t just about socializing, it’s also about bonding over shared values and reinforcing a shared company culture. “Company culture is incredibly important to us at WorkStride, and we know we can’t just leave it to chance, especially as we continue to grow. 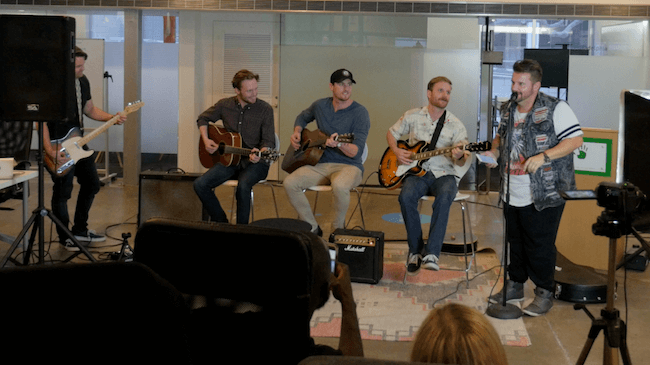 Our CEO Jim Hemmer has implemented annual ‘culture jam sessions’ where employees get together in small groups to talk about what the culture is today, where we’d like it to be, and how we get there. The most important thing we do is to record all the groups’ feedback and incorporate it into a culture guidebook, which is a living document that we refer to throughout the year. Recent ideas that were implemented included holding hackathons to encourage innovation, hosting healthy cooking classes, and scheduling brown bag lunches with leaders of departments other than your own to learn more about what they do. Why we love it: Culture jams not only encourage employees to think critically about what kind of culture they want to create, but these ideas are ingeniously captured in the company’s cultural guidebook. Too often, the results of these brainstorms aren’t recorded, and no progress is made – despite the best intentions of everyone involved. Sometimes celebrating our differences is just as effective as coming together over shared values. “With over 15 nationalities in one office, we are never short of stories. At Taskworld we really celebrate this diversity. At least once a week, every team member takes part in a cultural experience involving another member of the team. Why we love it: This idea combines one-on-one dialogue (a great way to engender trust and empathy) with a celebration of diversity. The team building starts well before a new SnackNation hire enters the office. 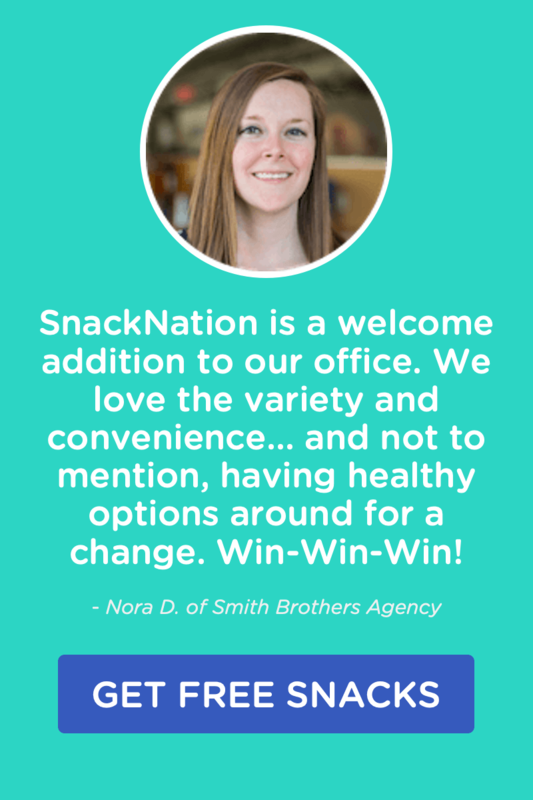 It all starts with a new SnackNational’s SnackNation Buddy. Yes, much like a fourth grade field trip, SnackNation operates on the buddy system. “Culture is incredibly important to us, and we know it doesn’t happen by accident. That’s why we created the Buddy System, to ensure that our new hires feel welcomed, comfortable, and cared for. 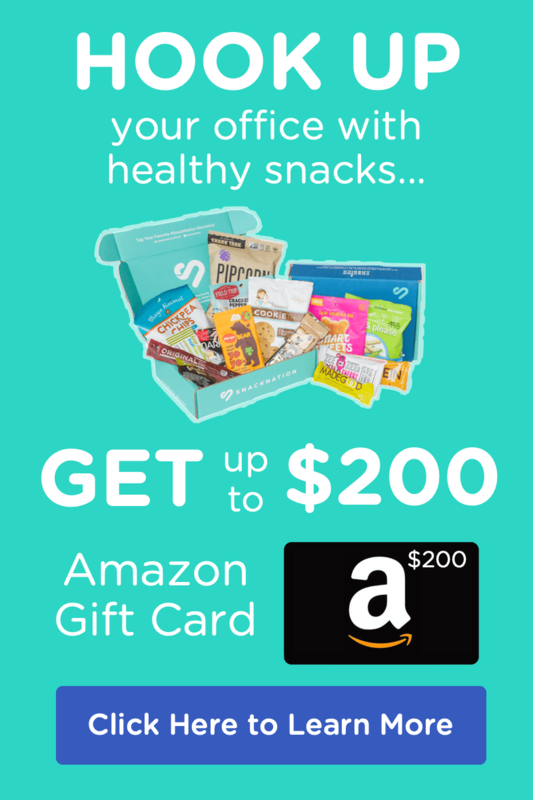 “Our Buddies are team members who fully understand SnackNation’s culture and environment, have proven success at the company, and most importantly want to be a Buddy for a new hire at SnackNation. Why we love it: The value of the Buddy System is two fold – first, it ensures that the new hire is welcomed and has someone they can trust on day one, and who can help them with all the little questions that come with a new job (how to print, where the bathrooms are, who can fix their broken keyboard, etc.). Additionally, it gives aspiring leaders a chance to develop management skills. TemboSocial makes employee recognition, polls and communications solutions for the social enterprise, so it’s no surprise that the company uses their own awesome products to keep their team connected and engaged. 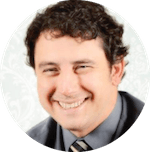 “We use our own peer recognition program to share daily successes and achievements that we each experience in the work day. Why we love it: This tactic is great for so many reasons – it’s inclusive, interactive, quirky, and fun – but what we love the most is that it demonstrates the value of the company’s own product, and gives everyone within the organization a tangible sense of the company’s mission and the value their product provides. Team building can be especially challenging when you have a remote workforce. Employee engagement platform 15five has come up with a way to keep team members engaged and feeling part of the same mission. It’s called Question Friday. 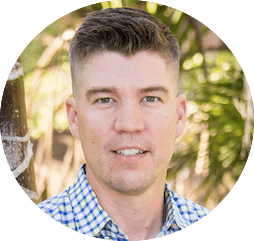 “Every Friday morning our team from around the world hops into a virtual meeting that lasts about 30 minutes. 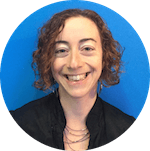 An appointed Question Master kicks off the call by asking a thought-provoking question aimed to create camaraderie, break down walls, and allow our distributed team to feel closer. People reveal themselves in fascinating ways that greatly enhances the collective level of vulnerable trust, which leads to better collaboration and greater organizational health. If you were to go back to school and get an advanced degree, what would you get and why? Why we love it: This tactic does double duty – it’s a way to express 15five’s core values of transparency and authenticity while creating a conversation that enables team members to learn about and feel empathy towards one another. “Hack days” are pretty ubiquitous in the tech world – development teams are given a day to come up with a product new idea and built a prototype in 24 hours. Hack days do have tons of upside, but the problem is that they are geared towards developers, and don’t lend themselves to wider participation by the rest of the organization. “Panjo associates participate in something we call ‘Education Day’ every quarter. All associates take the day to participate in any kind of educational activity that interests them. Some associates take an online course, some associates read research papers, some associate try programming in a new language. All team members are required to give a 60 second presentation on what they learned. 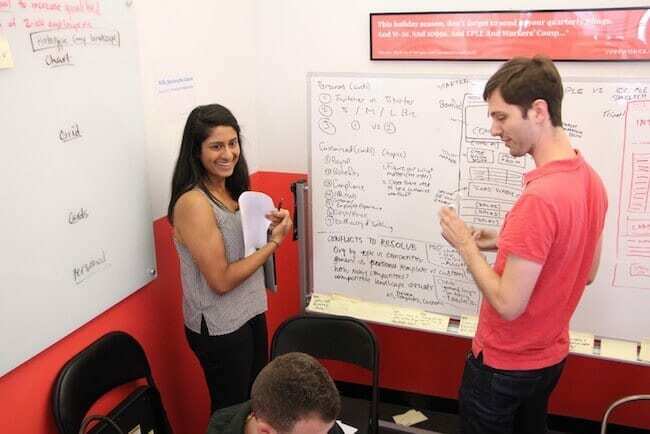 We previously had a ‘hack day.’ Many companies notoriously host hack days. Why we love it: Inclusivity is the key here. The best part about education day is that the knowledge and insights gained aren’t siloed, they’re shared with the rest of the organization. We do something similar here at SnackNation. Every Monday we gather our entire 90+ member team for a personal or professional development session. We call the Sensei Session. 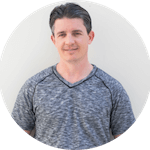 Why we love it: Sensei not only helps us come in hot on Mondays, but also reinforces our commitment to growth and learning. The topics covered become points of discussion throughout the week and aid in further bonding between team members. Corporate wellness tech company Limeade values ownership of the product. So much so, that they encourage product ideas to come from anywhere in the organization. But rather than pay lip service to this ideal, the company put their money where their mouth is by launching Own It Day, a chance for everyone in the organization to pitch their product ideas, regardless of where that person happens to sit in the org chart. “Own It Day is our bi-annual internal event where employees across the company pitch, build and launch their own product improvements. Why we love it: Own It Day allows literally anyone inside the company to do just that – own the path of innovation for Limeade’s product. 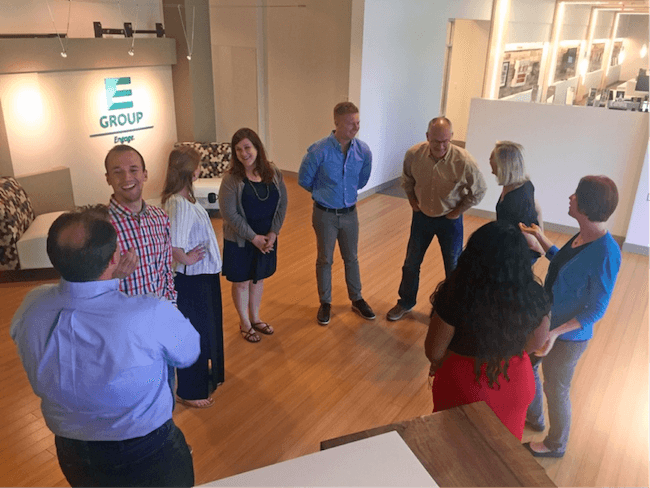 Engagement firm E Group recently kicked off their Culture Week with a “Circle of Appreciation,” a simple activity with enormous impact. E Group’s Employee Engagement Specialist, Rachel Niebeling, is part of the committee that plans team building events. “The entire E Group staff formed a large circle, and each associate was asked to share something they appreciated about the person on their right. Once the circle was completed, the process reversed and we all shared something we appreciated about the person on the left. Sounds simple, and it was. But it was also quite powerful. You could actually feel the energy shift as we moved around the circle. This activity really spotlighted the power of appreciation. If your company is large, you could break the circles into departments or work groups and achieve a similar impact. Just be sure to include management and staff in every circle. Why we love this: So simple, yet so effective. It can be hard to find ways to express your gratitude for the people around you, but it’s so important to do so – your culture depends on it. This team building exercise for work makes it easy. Why we love it: Ray’s pageantry and over the top energy is, of course, hilarious, but the real value comes in the warm reception and feeling of inclusion that new hires have when they arrive at the company. “Our CS team recently, completely out of nowhere, started giving out ice cream during the middle of a work day. They had a cart with different flavors and toppings, were playing music, and were dressed up in USA colors (this was during the Olympics). Each person’s ice cream came with a little toothpick flag that had a Lever value written on it. I think it’s organic moments like that that bring the team closer together and reinforce values. 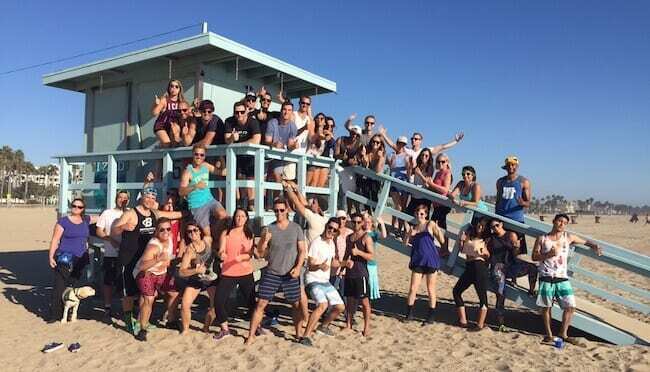 Why we love it: It’s a clear sign of an awesome culture when individuals step out of their roles and head up their own fun team bonding activities. Give people the freedom to be creative in bonding with each other and amazing things can happen. Recognition software company Bonusly has a cure for those dog days of summer, when sales cycles seem to slow down, and it’s hard to stay indoors when the sun is shining: go exploring in your own backyard. “The Bonusly crew loves a good team lunch or happy hour as much as the next bunch, but we also try to get extra creative with our offsite activities when we can. We get our NYC and Boulder teams together for a coworking week about once every quarter. We take that time as an opportunity to work face-to-face on special projects, but also to bring us closer as a team. 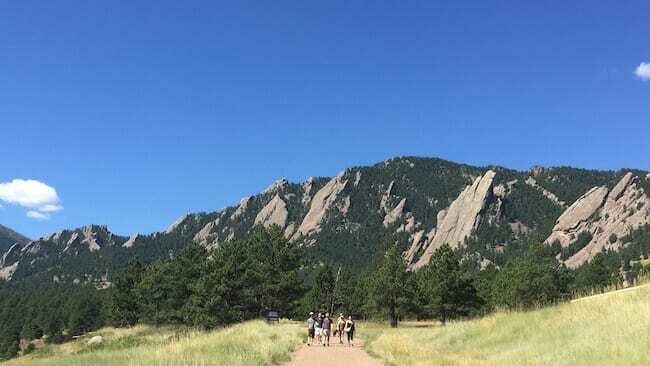 During our last coworking week, we all took a hike together through the Flatirons in the Colorado Rockies. We’re all pretty active, and this was a great way for us all to get out together and do something outside of the office. Looking for something a little more epic? Pittsburgh-based Smith Brothers Agency has the answer for you. Adventure Club. Why we love it: Besides having the best name on the list, Adventure Club rules because it breaks your team out of the grind of the work week, and puts team members in unfamiliar settings, which can spur both creativity and bonding. The employee engagement activities function as stress relief, team bonding agent, and idea generator. “Another luxury of being based in Thailand is having access to some of the best beaches in the world. At least once a month, we pack our bags and rush to a nearby beach for a weekend. Why we love it: You don’t have to live in Thailand – or near a beach – to make this idea work. Just about everywhere has some natural beauty or unique outdoor activity: Washington has the Cascades, Kentucky has its limestone caves, Florida its everglades. Challenge your team to explore your own backyard and see what it has to offer. Good discomfort is a requirement for growth – like a muscle, you need to push yourself outside your comfort zone in order to grow. Smith Brothers has a great team building activity that they enact during their annual holiday parties that helps team members do just that. The agency goes big for these parties, which typically include a Christmas sweater/costume contest, photo booth, lunch provided by the agency, fun group activities like bowling, and an open bar. But the piece de resistance – epic karaoke. Why we love it: This karaoke session is a rite of passage, and becomes a shared experience that can help people all across your organization relate to one another. Nothing brings a team together like leaders who don’t take themselves too seriously and aren’t afraid to look silly. Case in point, MyEmployees COO Adam Tarrt. Rather than present a typical summary of Paul Akers’ 2 Second Lean for the company’s book club, Tartt took a decidedly different tack. Why we love it: This one worked because everyone got in on the action (even though a few of them didn’t quite know what they were signing up for). 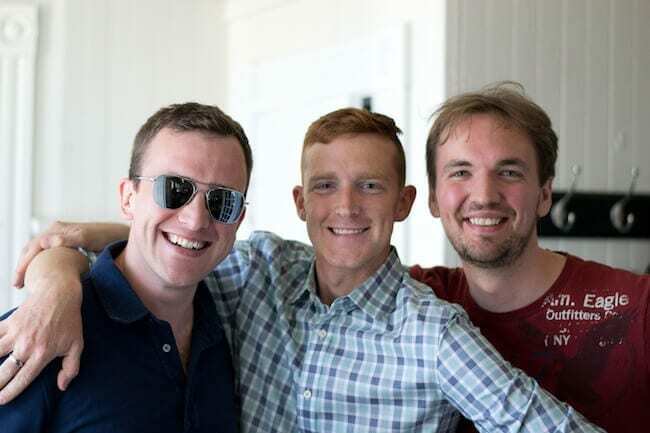 It’s the definition of “exclusive-inclusivity” – a hilarious experience that the entire team can share and bond over. For most of us, dancing is a bit beyond our comfort zones… especially a dance like Brazilian capoeira, which combines elements of martial arts and acrobatics. Why we love it: Team bonding requires a bit of shared vulnerability – and nothing achieves that faster than forcing team members out of their comfort zones. For most of us, group dance lessons practically obliterate that comfort zone, making this activity a fun, effective way to bring people together. “We also took a trip to the Enigma Escape Room, where our team was locked in a room full of puzzles we had to solve within one hour in order to escape. We already really enjoy working together to solve problems and find creative solutions on a daily basis, so the escape room was a natural extension. Why we love it: This activity rocks because it engages problem solving skills and promotes teamwork in the workplace all while creating an amazing shared memory. Countless studies have shown that we need to take breaks in order to be productive. Our brains can only focus with maximum efficiency for 25-50 minute periods. The takeaway? You need to take breaks. “Twice a day (11:40am and 4:40pm) everyone in the company drops down and does 20 push-ups together to the music of Eye of the Tiger. The tradition started with just one sales person, but eventually other people on his team followed. 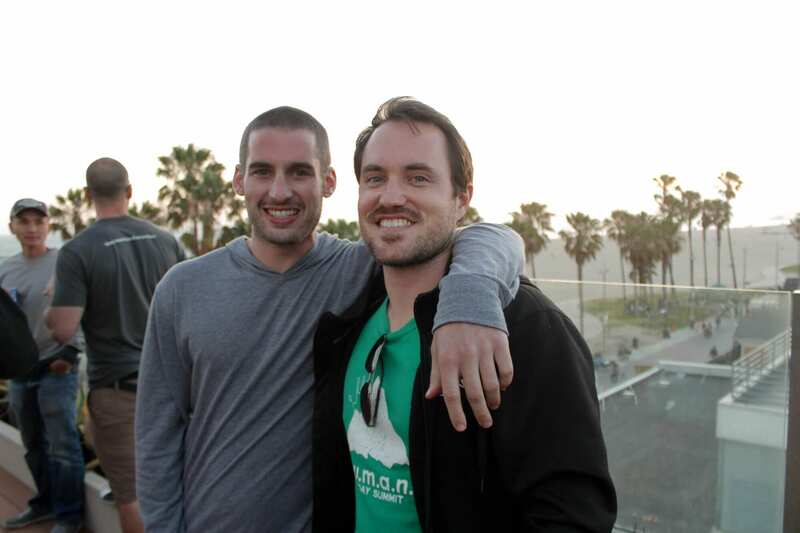 Myself and my co-founder loved the energy it created in the office so much, we started joining. Eventually we created an alarm system that would play Eye of the Tiger automatically twice a day to the animation of a guy doing push-ups. It became so ingrained in our culture that we even stop in the middle of meetings to get our push-ups in when the time comes. As new people join the company, we don’t even tell them about the push-ups, but they see everyone drop down at 11:40am and rather than question it, they just join in. Why we love it: Besides the obvious benefit of combining a mental break and brain-stimulating exercise, we love that Proven doesn’t tell new hires about this practice. Team building masters Blueboard shared another ingenious team building activity – one that got the creative juices flowing. Why we love it: The coolest part about this creative team building activity is that employees get to walk away with something tangible – a shirt or a canvas bag – that will remind them of their experience and reinforce the bonds they formed every time they use it. The Go Game, producers of unique interactive events and scavenger hunts for groups of 3 to 10,000 players anywhere in the world, knows how to take corporate events to the next level. “The Classic sent our group on a high-tech urban adventure with live actors that was like The Amazing Race, combined with a dash of America’s Got Talent and a sprinkling of Trivial Pursuit. Why we love it: Really, what’s not to love? An outside the box activity like this can be just what your teams needs to open themselves up to bonding with their teammates. As Delivering Happiness CEO and former Zappos foundational employee told The Awesome Office Show, she and Zappos CEO Tony Hsieh didn’t exactly start off on the right foot. She met the entrepreneur and visionary business leader in a club in San Francisco, and thought he was a typical Web.0 party boy. But a Zappos mountain climbing expedition in Africa to scale Mt. Kilimanjaro changed everything. 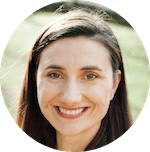 It was this experience that helped her overcome this initial bad first impression and cement a bond between the two that helped her partner with Tony for his book and eventually, the Delivering Happiness company. 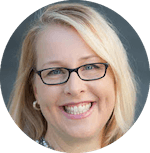 Why we love it: Of course, you don’t necessarily have to trek to Africa to realize the benefits of pushing your comfort zones, but this story illustrates the extent to which taking on massive challenges – especially with leadership – can unite your team. Want an awesome team building activity that will have an immediate impact on your business? “Justworks’ marketing team took a week off our usual duties to focus on overhauling an important part of our website. One of the team members led the process, but everyone had an equal share in bringing ideas and coming up with solutions. By the end of the week, we had working prototypes and brought people in for user testing. Why we love it: The bigger company-wide problems you are facing may be weighing on your team. Giving them an opportunity to speak up and seek out solutions. It’s empowering and a great learning experience. 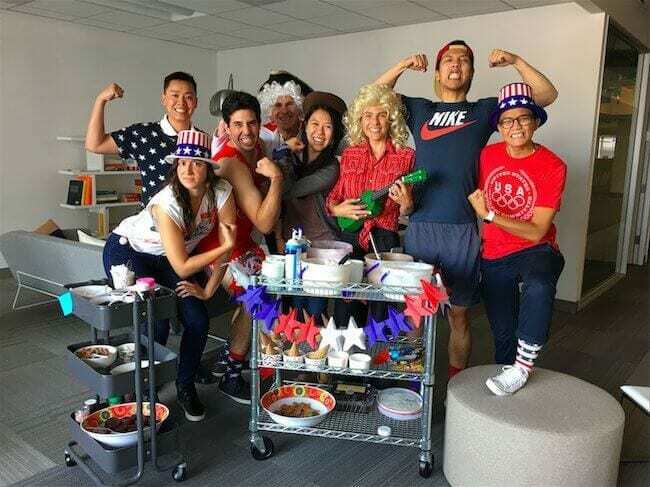 “For low-budget options, we’ve done Throwback Movie Nights where we gather at the office for takeout and 80s/90s throwback movies, and regularly take turns cooking (we have the benefit of a full kitchen at the office). We’ll do group breakfasts, or more swanky lunches. We also had an awesome time doing a thrift shop bar crawl during our March team retreat in Tahoe this year. We all picked names out of a hat, and got to shop for a very special outfit for the person we drew. Why we love it: These ideas just go to show that you don’t need to spend a lot to create memorable experiences. Taskworld reminds us that sometimes old standbys are just as effective as epic adventures. “Sometimes the most amazing team building activities happen when people don’t even realize that they are doing something special. That’s why it’s also important to sometimes keep things simple. Why we love it: It’s amazing how a few happy hour cocktails and hors d’oeuvres can bring people together. Don’t underestimate the power of the “classic night out” – it’s a classic for a reason. Those famous words, first uttered by Abraham Lincoln during the Gettysburg Address [editor’s note: Abraham Lincoln never said this], illustrate the timeless appeal of free food. “A fun way we foster team-building is during our bi-weekly all-hands meeting, we do lunch drawings. One employee (who was previously selected for exemplifying our company values) draws a name out of a bowl and the pair gets to go to lunch on the company. Why we love it: This tactic not only rewards top performers and helps reaffirm company values, but also creates opportunities for people from different sides of the house to interact. You never know what new ideas will result. Why we love it: A happy hour on the premises and just after work (or during work hours) is a great to signal that team building and fun are a priority at your company. 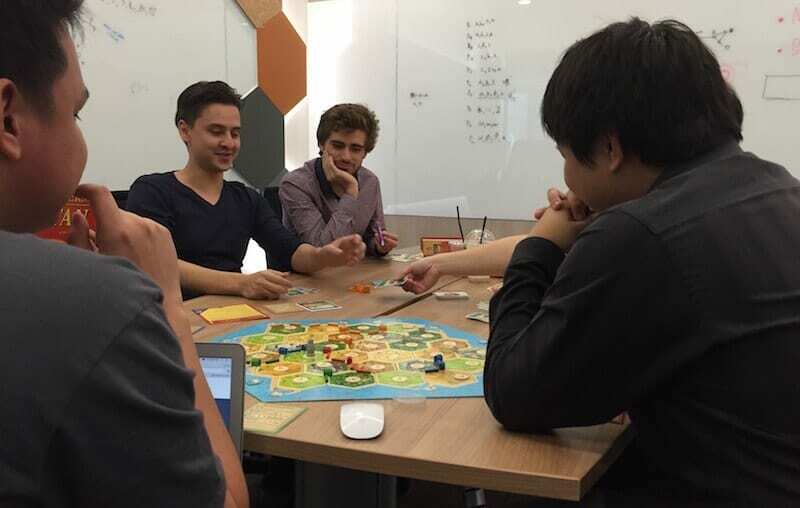 BambooHR takes a more social approach to their team’s board game obsession. “We have a large group of people from every department that meet in a conference room every day during lunch to play board and party games. A couple popular team building games are Resistance and Coup. Why we love it: BambooHR shows the more laid back side of gaming. You don’t necessarily need a marathon super-session to reap the benefits. A lot of times, a few games over lunch can be just as effective. “If there’s one thing most E Groupers can agree on, it’s D.C. sports! 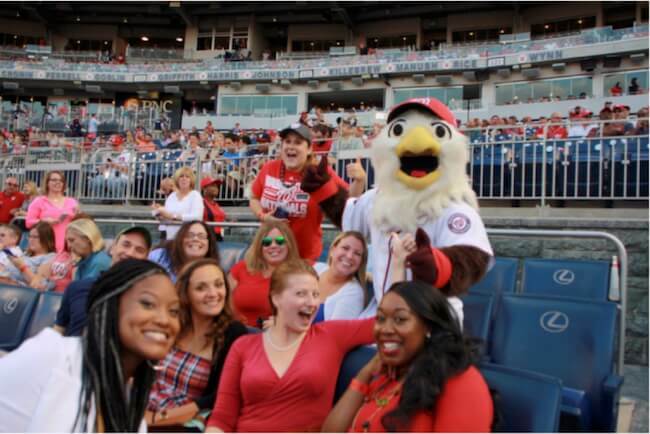 Every year, as the summer months come to an end, E Group’s offices close early one afternoon and our associates head to downtown D.C. for an outing at Nationals Park, home of the Washington Nationals baseball team. Together, we spend the evening eating, chatting, laughing, and cheering on our beloved ‘Nats.’ even E Groupers who aren’t native to D.C. join in on the fun. It’s a countdown-worthy event that we all look forward to every year. Relaxing with our coworkers in a fun environment, far removed from the office, is one of the best ways to bond and grow stronger as a team. Why we love it: Not only is baseball America’s past time, its slowed down pace makes it most conducive to conversation and bonding. One way to ensure socializing and team building is to design an awesome office space that supports team building in its very layout. 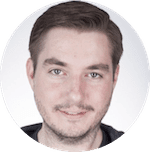 “On any typical day at the office, you’ll often find our team marketing away on our awesome test management software product lines, going over plans in meetings, or yelling profanities while playing table tennis in the game room. Why we love it: In the right environment, team building becomes an automatic, daily occurrence. Don’t miss the biggest opportunity to make teambuilding an ingrained part of your culture. As he described for the Awesome Office show, Menlo Innovations CEO Richard Sheridan is a big fan of all-hands meetings. Unlike most CEOs, he doesn’t feel like all-hands need to be formal or infrequent. Why we love it: All-hands are amazing tools – but most companies only do them once a year. This practice not only ensures they happen more frequently, but is consistent with Menlo’s quirky company culture. 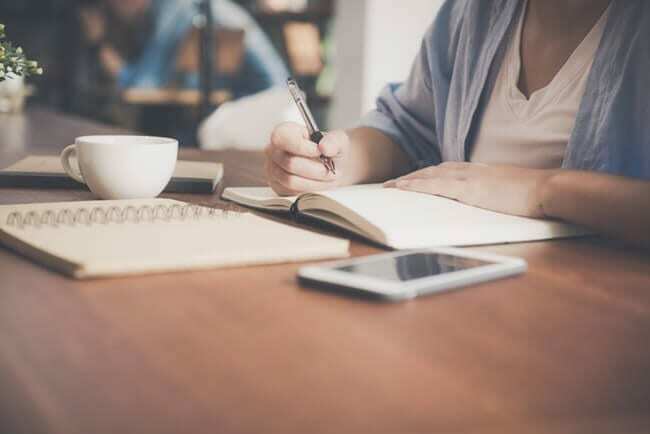 While meeting with your own department on a regular basis to brainstorm new ideas is crucial, sometimes a fresh pair of eyes can make all the difference. “Hosting an off-site brainstorm session with different departmental teams is one of Spire’s favorite team building activities. Not only does it give team members an opportunity to take a break from their normal routine, but it allows for collaboration amongst teams or departments who may not always get the chance to work together. Recently, our product engineering and customer success teams joined forces in a brainstorm to further discuss our customer needs as well as the technical aspects of what goes in to developing the platform. Team members were able to get to know colleagues they don’t typically work with and gain a new perspective on everyones’ roles and the work that they do. Why we love it: Getting opinions from other departments inspires new ideas and gives people exposure to other areas of the company. It’s also a phenomenal way to allow your team to collaborate with people they normally don’t spend time working with. Here at SnackNation, our culture committee hosts a variety show for our office. Similar to a talent show, at the event we invite our colleagues to share their special talents during a Friday evening open mic. Many people perform together which is a great way to bond over shared interests and show off their guitar skills or test new stand-up jokes. “Our variety show is a unique way to encourage our teams to get out of their comfort zone. 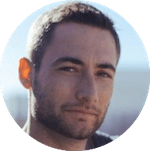 We hire people for their expertise in the office, but as a fast-growing company, everyone is pushed to take on projects that challenge them to learn new skills. By hosting a variety show, we set the tone that it’s okay to bring your whole self to work. Practice makes perfect and standing up in from of your coworkers and performing takes serious guts. My favorite performances are from coworkers who form a group and combine their talents. It exemplifies our values and translates to a more collaborative and supportive office environment. There is nothing like watching your company join in a slow clap or all stand-up and shout encore. Why we love it: Is there any better way to get to know the person who sits across the office from you than to watch her person the song she just wrote? Here is a team building activity for the more adventurous offices. Try an indoor skydiving event. At iFly, you can participate in a safe yet heart-pumping adventure in a wind tunnel. You’ll feel like you’re flying without any of the risks. “Indoor skydiving is sure to get your team pumped up. Not only will it be a new experience, but you will also need each other’s support to brave the leap of faith into the wind tunnel. Making memories together will bring your team together instantly. At our event, we were so excited, laughed a ton and still reminisce all the time. Why we love it: This is a great way to get your team out of their comfort zone. Trying new things creates a bond between people and it will be fun to reflect on the memory. Teams grow strong by completing projects similar to those they’ll face on the job, while avoiding the stress that comes with actually completing said projects. 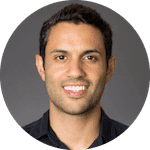 Without the standard pressures of day-to-day work, teams find it easier to take risks, open up, explore new ideas, and release any controlling tendencies that might keep them from truly listening to others’ ideas. Plus, even though most of us work every single day, turning the whole concept into a game of pretend can make mundane activities feel fresh and exciting again. What ideas and opinions did my teammates share during the meeting? Jess: She wanted a minimalist slogan, something like Apple’s “Think Different.” She thought Gretta’s slogan was too long, and she thought my slogan was cheesy. Gretta: She shared an idea for a slogan, suggested we may not even need a slogan, and expressed a concern that a minimalist slogan might not resonate with our target demographic in the 50-60 age bracket. Nigel: He generally liked everyone’s ideas, but he did not offer any specific ideas or opinions of his own. What emotions did my teammates feel during the meeting? Jess: Excited. She’s a copywriter, so she feels she is the most qualified to guide the slogan discussion. Gretta: Irritated. She’s the most senior member of the simulation team, and she doesn’t like the idea of relinquishing control. Nigel: Nervous. As an analyst, he doesn’t spend much time in brainstorm sessions, and he’s always been overly polite in the office. My guess is that he’s afraid to make anyone mad. What emotions did I feel during the meeting? Sad, because everyone did not immediately applaud my idea. Completely consider others’ ideas instead of dwelling on my own rejection. Ask Nigel directly what he thinks, to see if an invitation will open him up to sharing. A systematic review of teamwork activities found simulation training an effective method of team building and not just a way to boost specific skills. Why we love it: Business schools, and even medical schools, have used simulations to prepare students to succeed in the real world for years. We love the idea of extending that collegial spirit into the professional world. Humor is a universal “team bonding agent.” Making a funny office documentary celebrates all the glorious inside jokes only people in your office will understand, and it also provides a golden opportunity to make some new jokes. 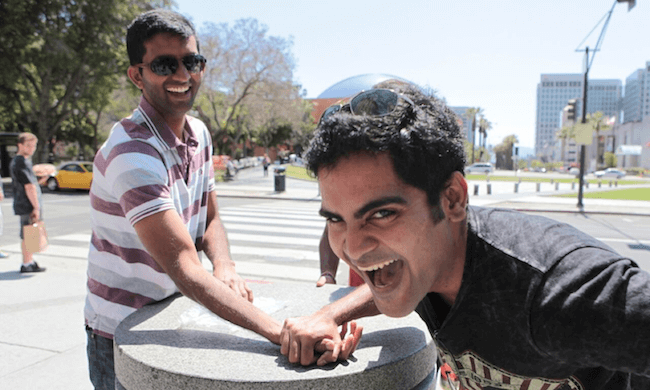 Experts say humor has several potent qualities that improve working relationships; it builds trust, releases stress, and makes everyone feel more comfortable around each other. That combination makes collaborative teams. Plus, making an office documentary, especially a good one, is hard work. It requires tons of logistical planning, shared leadership, initiative, and of course—teamwork—to pull it off. Why we love it: Making an office documentary provides team building for years. Teams grow stronger as they make the documentary, and they continue to bond as they watch their creation again and again, remembering inside jokes and reliving all that fantastic, priceless laughter. Scavenger hunts let us live out the fast-paced thrills of a whodunit mystery in our real lives. We loved them as kids, and we still love them now…but many of us probably don’t get to do them enough. Scavenger hunts are easy to plan, and they’re inexpensive when you consider how much fun you get out of a generally light investment. All you need to plan an unforgettable scavenger hunt is a little imagination. GooseChase Adventures has some incredible ideas for planning scavenger hunts specifically for office teams. 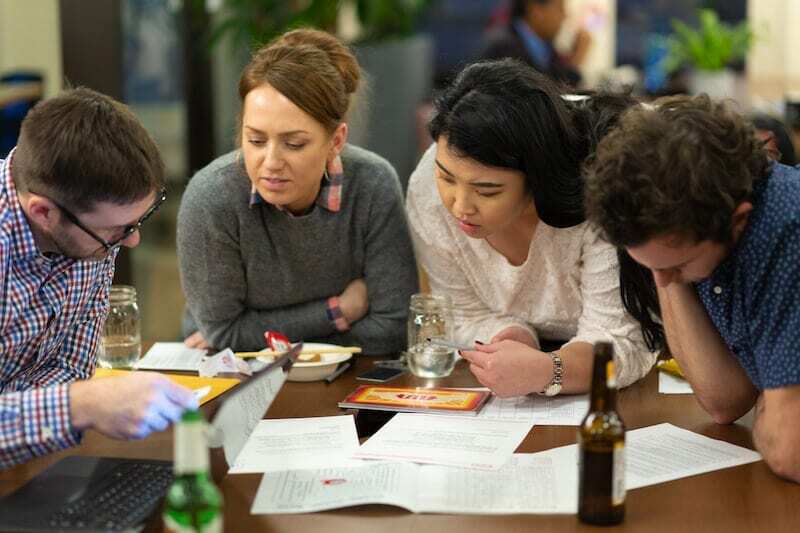 Why we love it: Scavenger hunts get teams working together and communicating without even thinking about it. The shared goal of cracking a mystery brings teams closer, and the nature of curiosity alone pretty much guarantees optimal participation for all team members. Most of us have heard of the Marshmallow Challenge as a way to build teamwork and leadership skills. Deepen the classic building activity by challenging teams to stay silent throughout the entire building process. When they can’t speak, people have to make eye contact, seriously consider the intentions of others, and seriously consider how they’re communicating their own intentions. Conducted with patience and consideration, a silent building challenge helps develop a radical kind of sensitivity and respect at the core of many highly successful teams. Why we love it: This challenge throws out all the usual business activity tropes and invites teams to look at communication in new ways. Plus, the silent building incorporates both skill-building and hilarity as teams work out the kinks of silent communication. These are just a few ideas to create a happier, more engaged, and higher performing team. What are some of your favorite corporate team building activities? Let us know in the comments! Love all these ideas! Definitely going to bring some of these new ones to our office at Blueboard. Nice, thanks Morgan! Let us know how it goes. Thank you guys for being awesome! We do have at India Steel (Sumitomo Group) every Saturday interactive meeting in our main hall for 30 minutes. Every Department will present their weekly updates to across company. Also we do give the common communication in this platform. Also all employee recognitions and rewards are announced and distributed in this forum. Encourage employees to participate by way of sharing their individual experiences and contributions. Every week the MD explains one value out of 9 values of our company to reach out everyone the Sumitomo Values practiced across world. Very cool, Ravindran, thanks for sharing. Especially love the fact that your company reiterates its values and makes sure they’re being practiced. Great stuff! Thank YOU for letting us share part of your culture, Rachel! Thanks for the feedback, Monika! Agreed! First week smack talk has already begun. I’m 1-0 – woo hoo!!! We love March Madness brackets and do square sheets for big games and picks for bowl games. Since we’re in the sports industry anything sports related is a no brainer to get everyone involved. What an awesome article!! I love all these ideas – we will be implementing! These are all wonderful team building ideas! 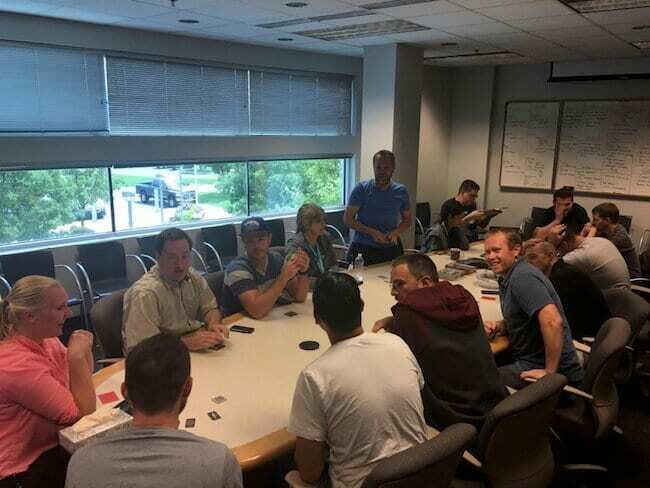 Recently, my team did a team building exercise in Denver called DayBreakers. It’s an hour of yoga followed by two hours of dancing in a setting similar to a nightclub. Hundreds of people gather and dance their faces off. What a great way to start the morning! Great ideas! Baseball games is always a fun team outing. It’s great to get out of the office to change the scene & going to a ball game is always a fun time. Startup culture at its best. Love it! This is a fantastic list. I’d love to do more team building activities at our sales office – if i can get the reps away from the phones! I’m thinking about putting out a scrabble board or giant crossword puzzle that can encourage people to take a break every once in awhile and do some casual puzzling. These are great! Definitely going to try out #12 ASAP! I want to do them all!!! Our office has a hard time being committed to an activity for a long time or over several days, especially outside of the office such as a sports league. 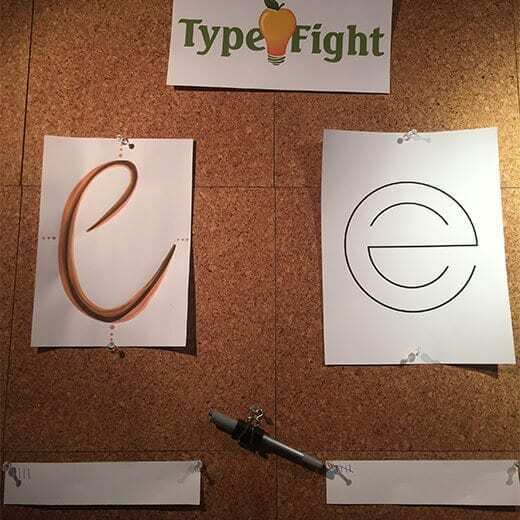 However, something within the office that doesn’t take a lot of time, such at the Type Fight game would be great for us! K1 GoKart racing is a lot of fun for our employees. It lets them get out there and compete with others in the company. It’s fun to see people who are normally reserved in the office show their competitive side during the race. Our office has done Go Kart Racing a few times and people really loved it! The rest of the ideas look great. Thanks! We’re going to do our first ice cream social next week! And I’d love for us to incorporate board games, sounds like a blast. This is great! 🙂 Our office does Ping Pong, Nerf Guns, Legos, Movie nights, Baseball Games, Shooting, and Go Kart racing, to name a few. We have a great crew who enjoys spending time together outside the office. How fun! I’m really glad I read this today. Our wellness team’s monthly meeting is actually scheduled for this afternoon. I’ve jotted some of these ideas down, and am anxious to see what the team thinks of the suggestions! We are always looking for ways to think outside of the box-and there are some great and hilarious ideas here. Some could be used with our design dept, or engineers…they aren’t one-size fits all, but that’s the beauty of getting creative. We have worked with our on-site catering dept, and had them make breakfast sandwiches, orange juices, and yogurt parfaits, and we had our Senior Staff deliver them to the entire site of 1,400+ people in carts. The teams LOVED seeing their leaders, and having them in the serving capacity is great as well! Some great ideas. My husband’s employer just did an Amazing Race and everyone loved it. Great ideas! Midday breaks for fun go such a long way. My favorites are the “Get Outside” ideas – even if something as simple as walking to a nearby patio for a drink or snack at the end of the day as a team, the sunshine and movement after a long workday is the best! These are all really great ideas and I can’t wait to try some of these at our next event. Couldn’t agree more, Elizabeth! Thanks for the feedback. We recently did an amazing race-style scavenger hunt, it was awesome! Sounds fun!! That’s a great idea, thanks for the comment, Julie. These are great ideas! We go to Spring Training baseball games. We also hold cubicle decorating contests for various seasons/holidays. Thank you, Heather! That is awesome – is your office near spring training, or are you all traveling long distances? Love team building exercises. We always have them at least once a month. They range from playing games, to volunteering, to next month going to a Haunted House. Very cool, thanks for sharing, Jennifer. Very true, Jane. 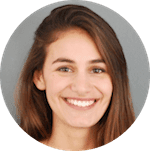 I’m a major introvert myself, and the team building we do at SnackNation has helped me connect with co-workers, which results in better working (and personal) relationships – which results in better work! Great read – thanks for sharing! Glad you enjoyed it! Thank you, Anita. Loved all the ideas, now where do we put that ping-pong table?! Thanks Melissa – that’s what we’re here for!! Our office just did a paintball outing — we enjoy being super competitive and then bonding together afterwards over a beer to relax snd share war wounds (note: nothing hospital-worthy). Haha – glad to hear it, TJ! We are always looking for new team building ideas, so this was helpful! These are all really great ideas. I personally love the Nerf Battle idea! Brings me back to playing as a child and is always a good stress relief in the office. Thank you John! Can’t beat an epic Nerf battle. At Mobivity we do department field trips to Spring Training Games, Paint Parties, Movies etc. I loved hearing about all of these additional ideas. I look forward to bringing them to my Executive Team. Nice! What does a paint party entail?? There are some really great ideas. I’m going to try the appreciation circle! Really cool ideas! Would love to implement quite a few of these! Thanks for the feedback, Melissa! Definitely do that – and let us know how they work out! These are great ideas. We do the buddy system, usually do a sports outing once a year as our summer get out of the office and mingle event, but some of these look like I could incorporate them into our office as well. Awesome, BreAnne! Love to see companies who are proactive about bringing teammates closer together. We do many of these, but I can’t wait to add in a few more! Love the ideas. Awesome! Thanks for sharing, Stacey. Awesome! Thanks for giving this a read, Stacey. These are all great ideas! It’s a little difficult to get the whole to team to buy in to these activities however. Thanks Brendan, that’s a good point. Sometimes it’s about convincing your team to buy in, other times it’s about listening to figure out what they might want or need. Great feedback! It seems very difficult to encourage that sense of team that is necessary for success in an office workplace, but these ideas may help that! We agree, it can seem like a daunting task – but we’re here to help! My office actually does quite a bit of the activities listed above. One thing I’ve been noodling on is having an office-wide talent show. Sometimes you don’t know if your coworker actually knows how to juggle or not. I think it would open people up for conversations other than the typical TPS report banter. That’s an amazing idea! So true, what a great conversation starter and way to bring people closer together. Very cool! Love the creativity. We just finished a softball league a few months ago. 2nd place! Unfortunately, we lost to our rivals, but 2nd place nonetheless. Congrats! Sounds like a lot fun, thanks for sharing that idea. Great- I’m going to steal some of these ideas for sure! I find these ideas a great option! Thanks. Glad to hear it, thanks Cassandra! Great Ideas! I’m going to try and integrate some of them for sure! Sounds like an epic place to work! These are all awesome ideas! I am going to ask my boss to implement some of these around the office. I dont know how he will take it. Make sure you make the case for WHY – it’s all about building engaged teams that won’t let each other fail! We have begun to implement some of these ideas. Reading this post assures me they are great ideas. Awesome! What sort of things have you noticed as a result of implementing these ideas? My office recently started a basketball tournament. Everyone has loved it so far. Will try some of these ideas in the future. Sounds awesome! We have a weekly pickup basketball game at SN, but a tournament is a really cool idea. Might have to try that one! I love the lunch drawing idea. We implement a couple of these ideas already, but are always looking to make the workplace a better environment. Very cool! If you try that one, let us know how it goes over. So this is what happens when a writer does the homework needed to write quality material. Thank you very much for sharing this wonderful content. Great ideas,There are different activities that can be done in a team building exercise but as an organiser, make sure that it will be fun and very interesting for everybody involved. It must be activities that help people to unwind, interact with each other and will avoid embarrassing anyone. yes its true team building activities are very important for any business. I like your ideas for team building. Excellent list of Team Building activities, planning to implement few from this list in our team. I’m on an Engagement Committee where we try to do things for our employees to make the workplace a great place to be. We work 7 days a week with several shifts with 100 plus employees and cannot leave the premises as often to enjoy the outdoor suggestions. We’ve had food fun and Christmas fun but need some other ideas. Many many thanks for sharing with us the great article. It’s helped me a lot and I also learned a lot also. It’s really a valuable and useful article for me. Every professional accountant should be read this so that he can don’t face any problem in future. I know this is an older article but I wanted to leave some feedback. Some of these ideas are fantastic and I will use a few so thank you! But to all managers out there, please keep in mind employees who are not able bodied. This list was very much geared towards young, fit employees, but employees with disabilities, injuries, who are pregnant, obese or older may find many of these activities alienating, or even dangerous. Just something to keep in mind. Love all your suggestions. I do believe it is time we moved on from those traditional team building games that have been used by companies for decades now. In fact, one fun team building activity that I love is escape room games. They not only foster teamwork and communication, they do so in a fun way. It might just reveal some hidden talents and abilities of the team members. It also provides the opportunity to identify emerging leaders and real team players. What about Secret Santa? We do that often and it really does connect people to get a gift from a random person in the office. Love all the great ideas on here. We are just starting try and team build across all our different locations. Cant wait to til our next “wellness team” meeting to bring in some of these ideas and let everyone know where I got them. Thank you. What kind of ideas are out there for healthcare workers that can be done during the work hours? Great article! Escape rooms are indeed creative outlets and places where people can forget the daily pressures in workplaces to get immersed in something for fun; without the intervention of any third party. Such situations can help break ice and foster close relationships between people in offices; who otherwise don’t get a chance to interact that much.